Covering materials can range for the highest grade leathers to fine and long-wearing fabrics. Seats can be fixed or recline either manually or powered as per your specification. 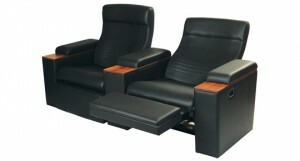 Please call us for more information on luxury and high-end cinema seating solutions.